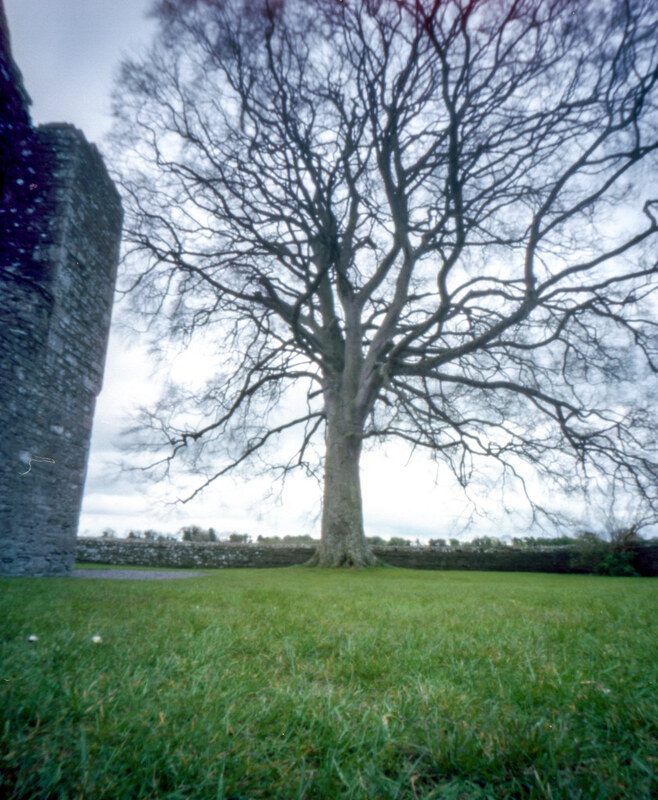 Bective Abbey is the last virtual stop of my pinhole tour through Ireland. Like the other ruins we visited, it was awesome. In the truest definition of the word. I grew up in the Pacific Northwest of the United States. We don’t have this here. We have nothing that can remotely compare to this. So being able to climb around on these historical artifacts is a huge treat for me. I can’t be sure but I think this might be a ghost? Because I have no idea what could be going on here. I took an iphone photo while this was exposing. You can see it here. 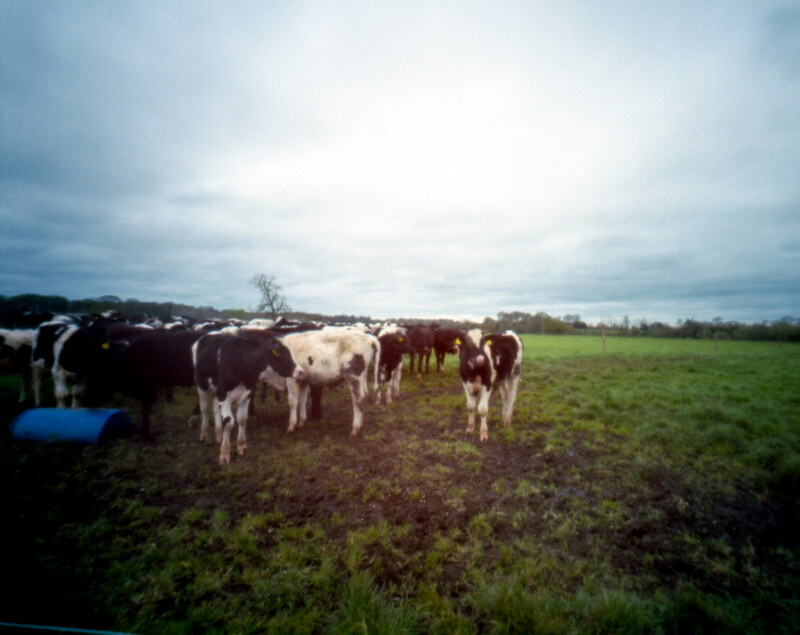 I made friends with some cows. And here is a tree that I enjoyed staring at for a few moments while I took this photo. So yes, Bective Abbey! Go visit if you are in Ireland. 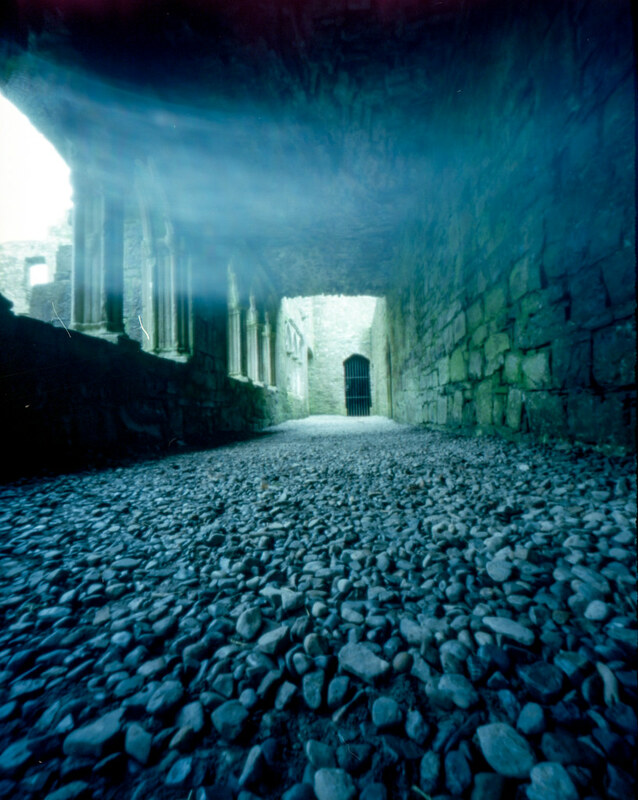 Here is a blog post Brendan wrote on Pinhole Obscura with more info and more pinhole photos! And here is an interesting blog I just now ran across of things found on the site. *Wikipedia tells me that, indeed, there are a few! I perhaps will need to visit them! So an interesting fact, there is so much of this stuff here that you just sort of stop noticing it after a while. I seek it out because I want to pinhole it. I live in a village that has ruins that are 1000 years old and one of the first settlements in Dublin and I grew up in a town that has a massive castle on the Main Street – I think the entirety of my youth I never once noticed it for what it was.